Over the past year I have discovered some wonderful skincare products that have transformed my skin, I hope you enjoy them too! Thank you so much for stopping by! This post contains affiliate links, I receive a small amount of compensation if you choose to purchase from my links (for example - as an Amazon Associate I earn from qualifying purchases). I only link to products that I know and love! While I don’t usually blog about skincare, I have discovered a few really wonderful products that haven’t let me down. Being outside in the wind, snow, sun, and dust year round left my skin feeling very tired, dry, and lifeless. I went on a hunt to find the best skincare products to give my skin life again without spending hundreds and hundreds of dollars. Throughout 2018 I tried a lot of products, some weren’t great, but some have been amazing! One of my favorites is Peach & Lily’s aqua glow gel, and at $12, I consider it to be a great find! My skin has dramatically improved over the past year, and I have found that I don’t need to use the same amount of makeup that I used to in order to feel “ready”. I hope you enjoy discovering the best skincare products that I found in 2018. What are some of your favorite skincare products? Skincare products and makeup absorb into my skin so much easier and my skin feels fresh and smooth! If you’re nervous to give dermaplaning a try, just do it! You will be amazed at how wonderful your skin looks and feels after. Your skin will literally glow! I discovered Peach & Lily from my friend Lindsey and this Korean skin care company has hundreds of incredible products. I have fallen in love with a couple of them. The founder, Alicia, went to beauty school and then onto Harvard business school (how cool is that? ), she has since created a Korean skincare company that allows women in the US access to some of the most advanced formulas and Korean skincare regiments. Alicia has an awesome Instagram account and has made it her mission to provide the very best Korean skincare products to us. These products are for the most part, very inexpensive, and offer really wonderful results! My very very very favorite product from P&L is the Peach Slices aqua glow gel. It is what I use every morning before I apply foundation and I swear it makes my skin plump and hydrated. I have gone through an entire tube of it and just ordered another one. I also love Peach & Lily for their sheet masks and oils. The oils and masks I have placed below are very hydrating and inexpensive! My friend Lylah is a fellow goat lady, and has developed a line of beauty products using goat milk & botanicals from her farm. Her goat milk soap is truly amazing and is my go-to cleansing bar. I love that it is inexpensive and does an amazing job cleansing my skin after a day spent out in the dirt and dust. This is a staple product for all skin types that cleanses without drying (thanks to the goats milk). Lylah sent me a sample of her Cloud product which is a little pot of magic. I will continue to use this on my skin as it is absolutely worth the investment. This product has completely changed my skin. If you spend time outside in the dirt and sun as much as I do, you know how dry and dull our skin can get. Especially during the winter months! Cloud is deeply moisturizing and brightening. If you invest in one product, this is it! Beauty Counter’s Dew Skin has replaced all other foundations in my makeup kit! I am always hesitant to buy into multi-level marketing, but Beauty Counter is one that I can get behind. I use their Dew Skin as my foundation every day, it’s definitely one of my favorite products (I like my skin to be very moisturized and dewey). I purchased the Beauty Balm after seeing it was a best seller. Honestly, I don’t think it’s worth the price. It doesn’t remove my eye makeup effectively, and leaves a greasy residue. I do really like the makeup removing wipes though! They are my go-to whenever I am feeling a little lazy and just need a quick cleanse before bed. Light rinse with water & a drop of Castile soap. I skip toner because I haven’t found one that I love and it makes my skin feel tight. I just ordered the Raw Sauce from Peach & Lily, I’ll let you know how I like it! Day oil application - I like Hyaluronic Acid 100 from Peach & Lily. Aqua Glow Gel from Peach & Lily. Beauty Balm Cleanser to remove makeup (it does a poor job, I am searching for something new). TSF Botanical’s charcoal cleansing bar to remove residue. 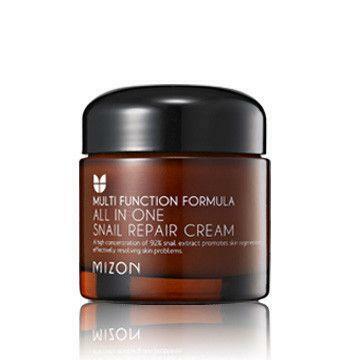 A dab of Snail Repair cream. Night oil/serum application - I like Night Repair Serving Ampoule or A&B’s Purify Serum. TSF Botanical’s Cloud. Just a tiny bit goes a long way.